I am very glad we are able to offer some of Black Orc Games’ Hundred Kingdoms miniatures. There are some very fine figures in this line. My favorite is the ‘Giant Gor’ figure. I use it my Victorian Science Fiction miniatures games. Think “Mighty Joe Young”. 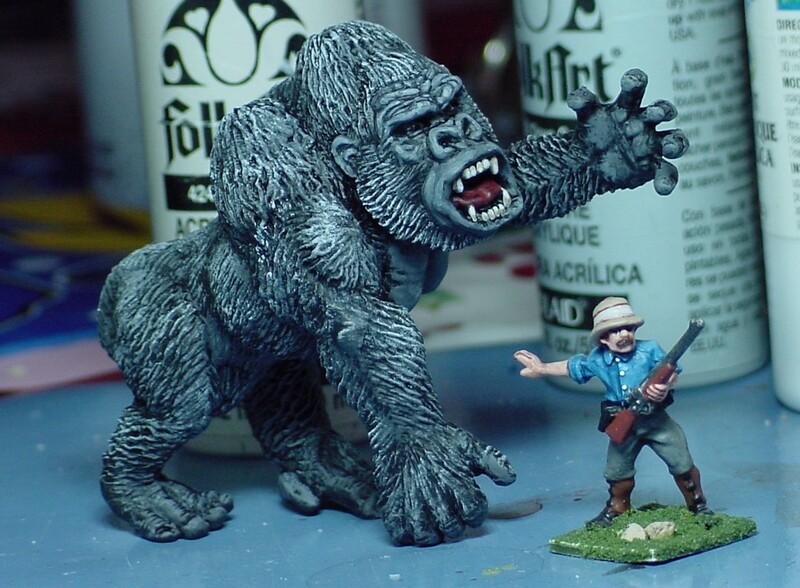 This picture shows “Gor” with a 28mm figure from Foundry’s “Darkest Africa” line. And yes, I paint most of my figures with inexpensive craft paints. They work just fine for most projects. This entry was posted in Miniatures by Graydon. Bookmark the permalink.